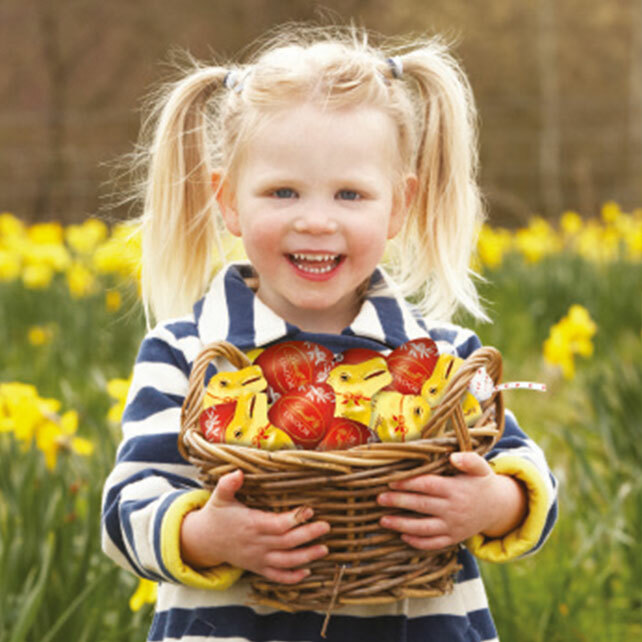 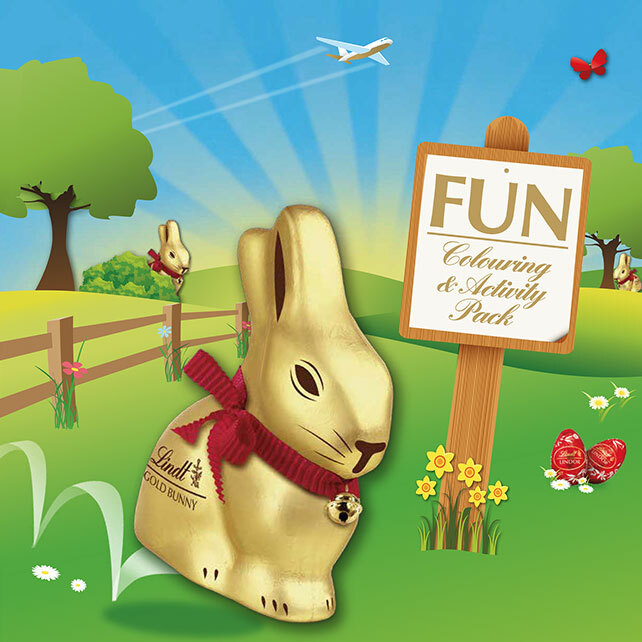 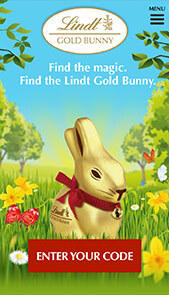 With almost all of Lindt Gold Bunny sales coming at Easter, the business was keen to drive sales in store from January. 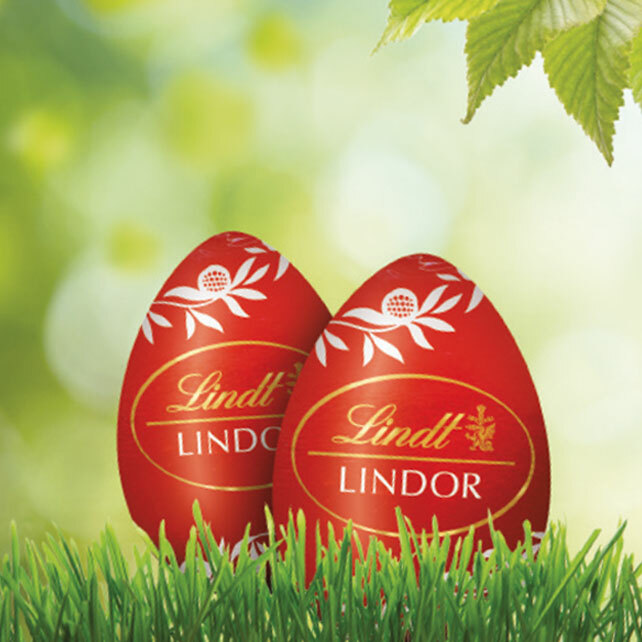 Consumers need to entertained though the promotional experience, creating a richer, memorable brand experience. 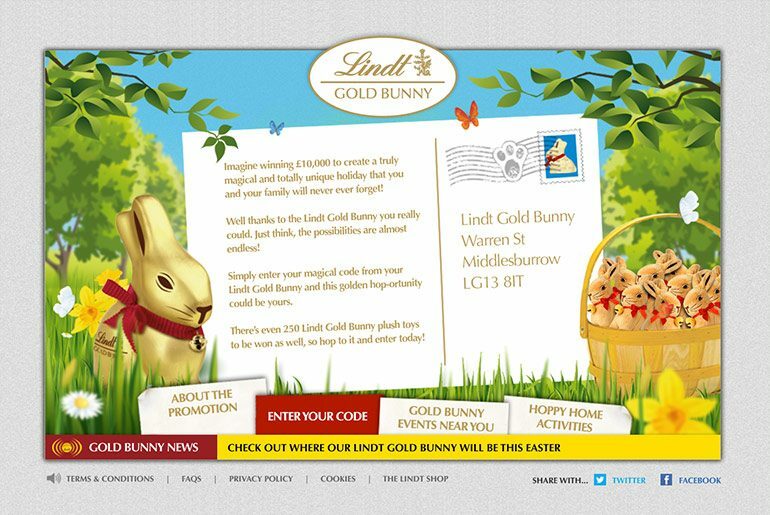 Fun, animated campaign site to support Lindt Gold Bunny Easter campaign, with unique code entry & validation via our in-house platform. 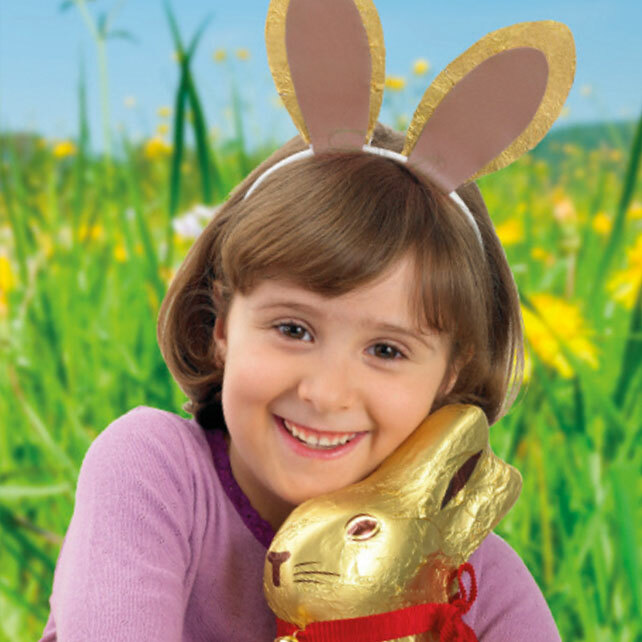 Consumers enter a unique code found on pack and, once validated, will be entered into the promotion. 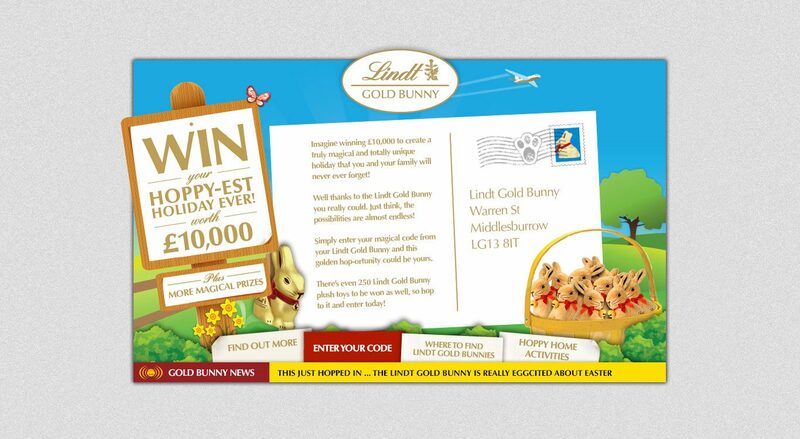 The campaign website was built our in-house platform [ProMotor] specifically built to support proof of purchase (code entry) on-pack promotions. 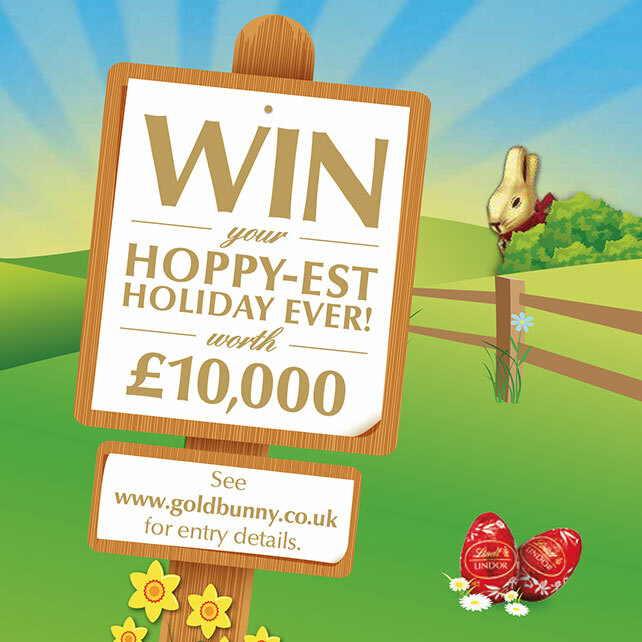 After entry, consumers can share the promotion on Facebook for an additional entry into the draw.